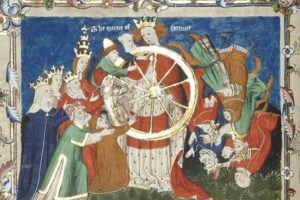 Can astrology tell us who we are and what we are meant to do? All live sessions are recorded. There is also an online course site with additional materials. Being “called” is being asked to trod a path to change ourselves and ouworld; this can be said to be our soul’s “vocation.” Sometimes the journey is lonely and dry as we experience alienation from the expectations of others; sometimes we hold on too tightly and narrowly and need to relax and expand. We often fall and need to climb back. We possess an entire cultural history around all these experiences. Astrologers understand the many expressions of soul within astrology’s symbolism, and will see how natal charts can depict one’s calling and subsequent journey. We’ll explore transformation through ritual, art, and life within nature – material, cosmic. We’ll also look at our many expressions of living together – cultural, social, and alas, political. How can these involvements be soul-diminishing or soul-enriching? The first two classes uncover the soul’s sense of calling, how we fall from that calling, and how we return. 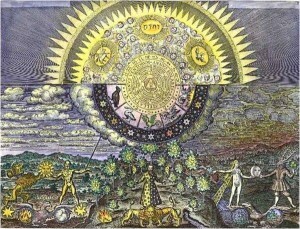 The three following classes are about transformations of soul and world, looking at alchemy, ritual, magic, and art. The final class is on the soul as inclusive, belonging to nature and to society and culture. Some individuals act early upon their calling and carry it out successfully. The rest of us occasionally hear “messages from the universe” followed by much trial and error, and finally understanding. We begin to grow from the personal to the global – or cosmic – and appreciate that we too can make a difference in the larger world. Is it part of the soul’s nature to fall and return? There is the “monomyth” – not Joseph Campbell’s hero – but fall and redemption, alienation and reconciliation. The symbols of astrology provide a template for this process. In our modern times, the “call” is away from ignorant conformity and habitual thinking and behavior toward authentic being. The traditional metaphor, however, is cosmic and personal together – the soul descends from the heavens downwards and lands on earth sometimes with a thud; return is a literal journey back upwards through the heavens. We will compare different approaches from the past that influence our understanding today. Many traditions and interpretations of alchemy illustrate the transformation of the world’s matter and the individual soul simultaneously. Here we focus on the Alchemical Marriage of the Sun and Moon as symbolic of the reconciliation of soul and world. 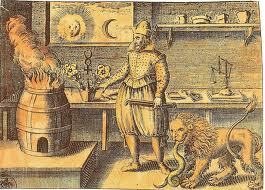 Alchemy, consisting of material and spiritual processes, works directly with and en-souls material nature. When done right, ritual integrates solar movement beyond with lunar movement that uses whatever material is at hand for purposes of transformation and inclusion. We’ll touch upon ritual practice and theory from Eastern Tantra to Western Theurgy (“god-making”) to neo-pagan practices that some of us do. What are the ritual elements in music and the arts? We look at magic and magical practices in astrology, showing connections and distinctions between sympathetic and ceremonial magic. The Renaissance gave us an oasis in time when magic and astrology and philosophy fused to create the strongest expressions of soul within the Western tradition. In particular we’ll look at how traditional astrology and sympathetic magic together was used to enhance life in concord with the heavens. We’ll also note the role of music and dance, mediated by astrology, for the cultivation of soul. There are strong traditions, East and West, traditional and modern, asserting that life in nature enhances soul – and degrading nature diminishes soul. These express themselves from the ancient Chinese to the western Romantic movement to today’s environmentalism. How does our being in human community – societal, cultural, political, and global – enhance or diminish soul? How does place enhance or diminish soul? Does not our cultural and political life also represent a calling from the cosmos? Can astrology help us understand how we apply this to ourselves?